We love flowers and we love colour. Such a statement can be made with the right combination. Check out some of our colourful designs! to the neutral event decor for a client pictured here. work perfect with the acid green of the spider mums. On the left, I’m loving the antique hydrangeas with deep pink phalenopsis orchids and green cymbidiums. With loops of curly willow and grass, this was perfect for a coffee table. 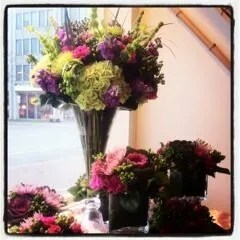 The sender of this sympathy arrangement pictured in the center wanted something that would be highlight the colourful personality of their loved one. 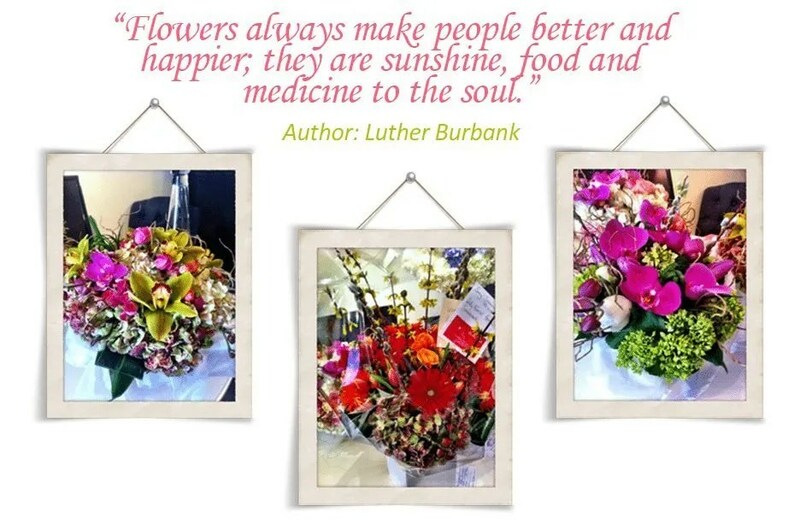 Don’t feel as if you always have to go neutral when sending an arrangement to a funeral home. This colour combination stood out amongst the rest. And finally on the right, for a corporate client with neutral decor, a punch of colour is just what they are looking for at their reception counter. 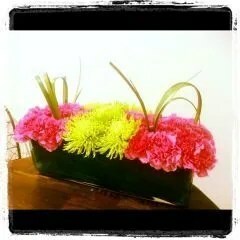 Something bright & pretty for guests to look at in their reception space. So next time you would like to add a splash to an office, bring a punch of colour home or send someone a smile, don’t be afraid of colour! Everyone will be happy with your choice.